Watching a breakout performance—whether in sports, television and film, music or any other facet of pop culture—is one of the most exhilarating experiences. From athletes like Steph Curry, Tiger Woods, and Simone Biles, to actors like Larry David and Jennifer Lawrence, to musical performers like Adele and Kendrick Lamar, we&apos;ll never forget that almost indescribable moment when endless stardom was created from a seemingly finite amount of material. A notable but presumed inessential figure in hip-hop, Migos rapper Offset has made 2017 his breakout performance. A while back, I made the case for each member of Migos as potentially its best. 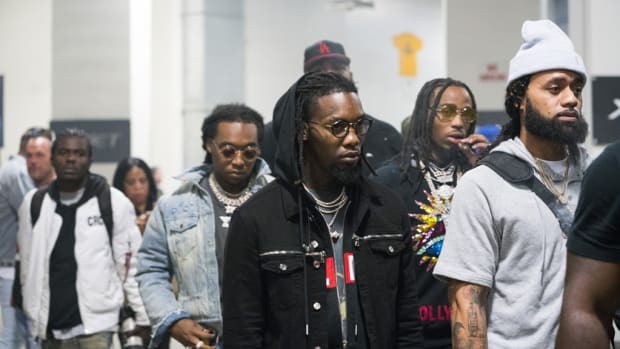 Offset was, by far, the hardest member of the trio to argue for. While he signifies the future of Migos, I wrote that, in addition to his improvement as a rapper after essentially mailing it in on Culture, he would also determine the group’s trajectory more than Quavo or Takeoff. In terms of notoriety, his skyrocketing verse on No. 1 single “Bad and Boujee” is, thus far, the hallmark of Migos’ career, but many of his verses on Culture felt beneath it, with uninspired performances taking a clear backseat to a very consistent Quavo and a much more structurally refined Takeoff. Yet, as I write this now, the sporadic highpoints of Culture feel like distant memories for Offset as he has redirected his own career from being Migos’ most volatile member (in terms of performance level) into one of the most consistent artists of 2017. 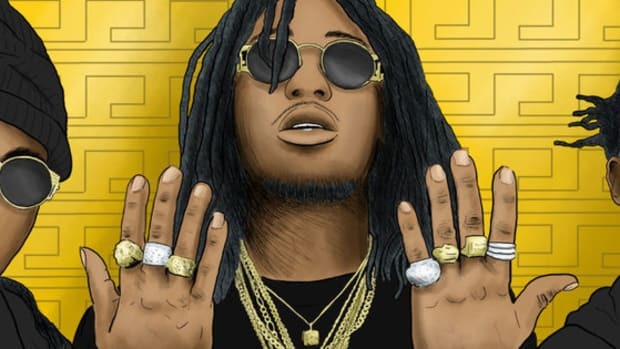 Interestingly, he’s managed to both produce his best material and hone his technique (flow, rhyme patterns) separate from his Migos brethren. When trying to describe Offset’s ascension in 2017, it helps to consider his breakout performance in much in the same way we view scoring champions in the NBA. Some of the very best scorers in league history—Allen Iverson, Carmelo Anthony, Russell Westbrook, Kobe Bryant—were never at their best when surrounded by superior or even marginally equal talent. 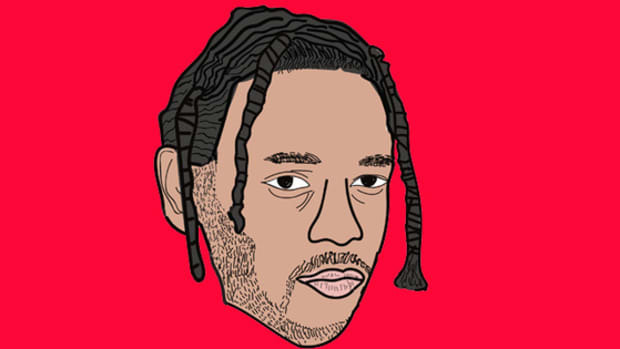 With over a dozen individual features on the books for the current calendar year, ranging from Macklemore to Gunna to NAV, Offset, in the context of rap in 2017, shines the brightest when he doesn&apos;t have to share the ball with his two very talented teammates. A diverse palette of guest features dots the top of Offset&apos;s most current résumé, with each song helping to highlight his breakout candidacy. 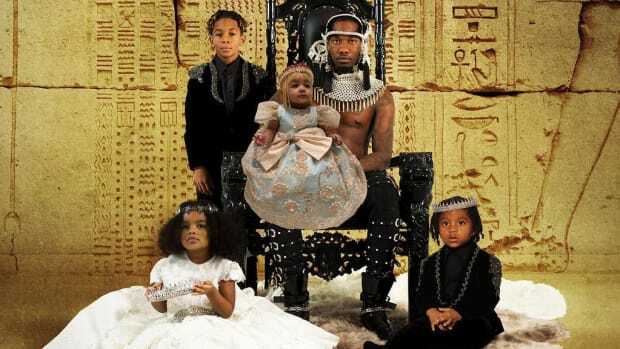 On Juicy J’s “Flood Watch,” Offset’s unique style is juxtaposed against incessant, flat piano keys that scream Daniel Powter’s “Bad Day” more than they do Three 6 Mafia, whereas on Cousin Stizz’s “Headlock,” it’s Offset’s consistency in both cadence rhyme schemes that complement Stizz’s blubbery and drowsy instrumental with a perfect concoction of energy and swagger. 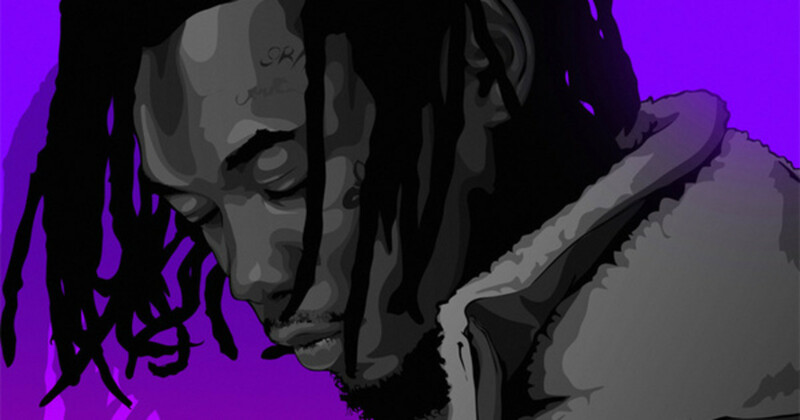 On “Headlock,” Offset tastes like a Red Bull and vodka between Stizz’s blunt-wrapped verses. On Gucci Mane’s “Met Gala” and Metro Boomin’s “No Complaints,” Offset’s two biggest guest features of the year, it is his charisma that envelops the first half of each song, and sets the tone for the much more prolific rappers (Drake and Gucci Mane) that follow. On "Met Gala," there are lyrics like, “I’m on a yacht and a yacht on my watch,” that, while basic in creation, carry a self-awareness and cockiness that is present in the very best of Migos’ work. 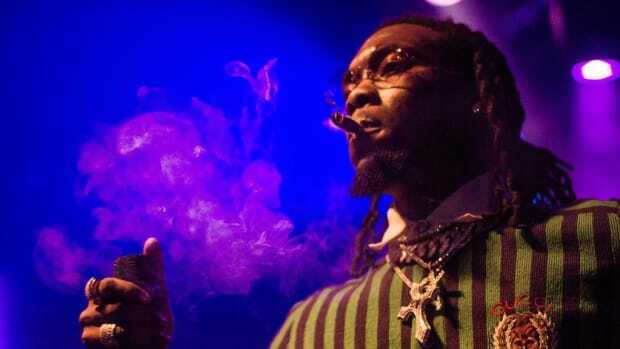 In other words, Offset isn’t just finding these improved abilities within himself; he’s injecting his own flavor into some of Migos’ most formidable characteristics. In order for a star to truly break out, though, it’s important that their nightly performances, if you will, don’t always fall into the fold amongst other great performers. In order for the breakout stars we cherish to exist, they have to work within subpar conditions and find greatness within themselves despite all creative boundaries. 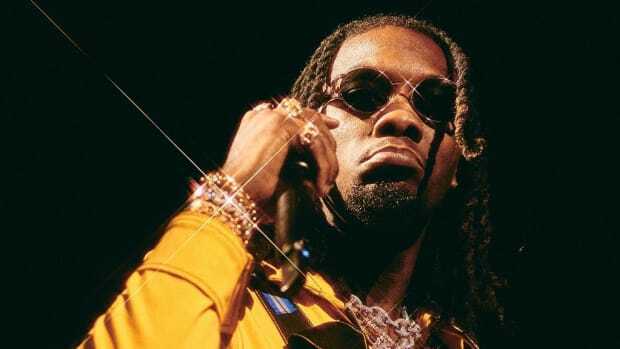 In Offset’s case, there have been several instances this year when his stardom was viewed through a lens in which he heightened material from rappers not even close to his pedigree. NAV’s “Minute,” a mostly forgettable track from a mostly forgettable rapper, finds Offset delivering the only memorable part of the entire song while sandwiched in between the headliner and Playboi Carti, while on “Hop in Da Lamb,” Offset steals the show from Sauce Walka (who mostly sounds like Fatman Scoop doing a Gorilla Zoe impression) with relative ease over a silky-smooth beat. When surrounded by the same type of qualitatively disorganized talent that Offset has mistakenly been associated with through his career, we see his true progress as an artist, a lyricist, and a star. Of course, there are other components to Offset’s newfound stardom that have undoubtedly helped his career this year. His very public relationship with fellow chart-topping artist Cardi B—and her parallel rise to superstardom—has added to the mythology of his image, and Migos’ group success laid a foundation and aesthetic from which he was able to build. And yet, Offset’s success separate from his group is almost completely his own doing. His moves have been calculated, seemingly never-ending, and, most of all, unstoppable. 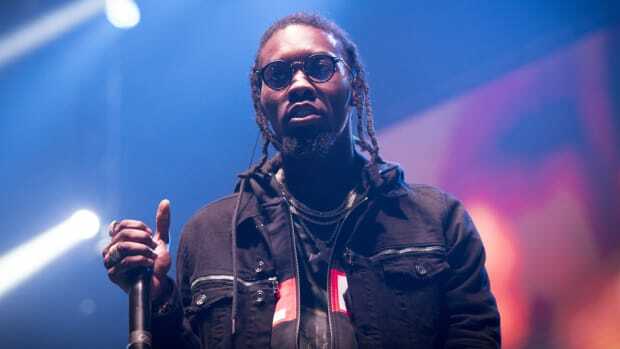 Offset might not be rap&apos;s 2017 MVP (we&apos;ll give that to Kendrick Lamar), but a breakout star doesn&apos;t need to take home the biggest award; he or she just needs to prove that they possess the potential to make that leap.